George Rawlinson is a Cubs die-hard, and the publisher of State Street Press. George proved his Cubs-love in 2008 when he published the great collection of essays “Cubbie Blues: 100 Years of Waiting Til Next Year”. He later presided over a Cubs-curse funeral in 2009, which unfortunately did not end the curse. Luckily George was around to see the World Series win in 2016. Few Cub fans enjoyed it more. 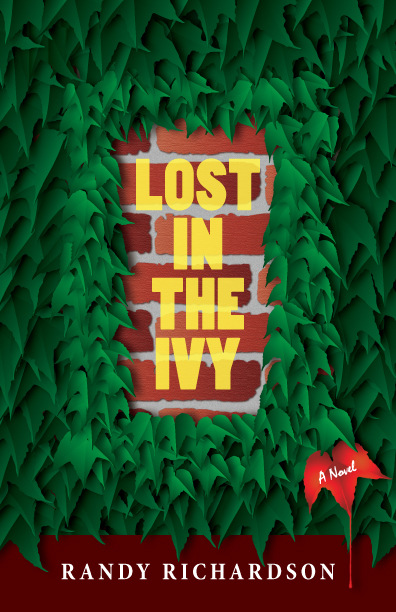 Randy really proved his Cubs cred when he wrote the Wrigleyville murder mystery Lost in the Ivy (which is available in the Just One Bad Century store), and he continues to prove it as a regular contributor at Wrigleyville Nation. In 2018, he added the Cubs book “Cubsessions” to his collection, another great book for Eckhartz Press. Of course, Randy is much more than a Cubs-lover. He’s an attorney and award-winning journalist, and a founding member and first president of the Chicago Writers Association. His essays have been published in the anthologies Chicken Soup for the Father and Son Soul, Humor for a Boomer’s Heart, The Big Book of Christmas Joy, and Cubbie Blues: 100 Years of Waiting Till Next Year, as well as in numerous print and online journals and magazines. His second novel, Cheeseland, came from Eckhartz Press in 2012. Jesse got his start in radio as a producer during the early days of the Score (WSCR), but moved over to ESPN radio (AM 1000) and has become a respected reporter. He currently serves as the Cubs beat reporter for both ESPN radio and ESPNChicago.com and consistently provides excellent and informative reports. Henry was a 12-year old boy who became a big leaguer in the film “Rookie of the Year” and took the Cubs to the fictional championship. The character was played by Thomas Ian Nicholas, but other stars of the movie included Daniel Stern, John Candy, and Gary Busey. He sold it for $10. How did the die-hard Cub fan feel about the 1969 Cubs? In 1984, when the Cubs needed to win only one more game in San Diego to clinch their first pennant since World War II, Royko taunted the Padres and their fans in his column. Needless to say, that didn’t work out so well. Yet he remained a die-hard fan. After Chicago Cubs announcer Harry Caray had a heart attack in the late 1980s, Rokyo took a turn in the team’s booth as guest announcer. He constantly tracked the team and everything associated with them. Just prior to the 1990 World Series he wrote about the findings of another fan, Ron Berler, who had discovered a correlation called the “Ex-Cubs Factor”. He predicted that the heavily-favored Oakland Athletics would lose the Series to the Cincinnati Reds. The accuracy of that unlikely prediction, in stunning fashion (four game sweep) propelled the Ex-Cubs Factor theory into the spotlight. 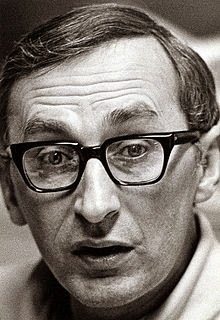 Royko is often associated with that theory because he helped popularize it. (By the way, it was proven incorrect by the 2001 Arizona Diamondbacks) His last column in the Chicago Tribune appeared in March 1997, a month before his death. His memorial service was held at the only fitting place for such an event; a sunny day in Wrigley Field. Cub fan Jacob Rubenstein was one of eight children of Jewish parents who had immigrated from Poland. He didn’t have a happy childhood. His parents divorced when he was 11. By the time he was 14, his mother was committed to a mental institution, and he was on his own. Despite his hardscrabble life, Jacob followed the Cubs. In fact, they brought him his first real chance at earning a living. Jack made it through eighth grade, then “found himself on Chicago streets attempting to provide for himself and other members of his family,” as a famous government report put it. He earned money by scalping tickets to sporting events and by selling sports-related novelties, such as Cubs banners. He remained in Chicago until 1947. During his years as a Cubs fan/entrepreneur, the Cubs appeared in six World Series. But Jacob isn’t really known for his days in Chicago. He’s better known for his days in Dallas, Texas, and for one particular day at that; the day after John F. Kennedy was assassinated. 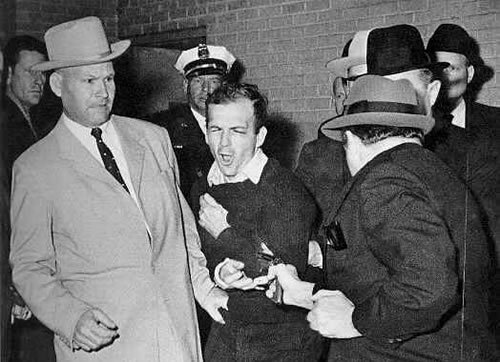 That famous government report was called “The Warren Commission Report” and by the time he was mentioned in it, Jacob Rubenstein was known the world over by the name he adopted in adulthood; Jack Ruby. He was born in Evanston, grew up in Winnetka (went to New Trier High School) and got his start in politics as Congressman from the North Shore, so it shouldn’t be too surprising that Donald Rumsfeld developed a love for the Chicago Cubs. He is a member of the Emil Verban Society (a group of Washington-based Cubs fans). In the book “The Zen of Zim,” Don Zimmer tells the story about the day he met Rumsfeld when the Yankees were invited to Washington. SEC. RUMSFELD: Oh, it’s just glorious in Chicago. JOHN: Don’t you wish the Cubs were home today? You could slide by there, see the 7th inning stretch? SEC. RUMSFELD: I checked to see if they were. [Chuckles] JOHN: [Chuckles] So as a Cubs fan, let’s ask you quickly about the Cubs. I now we have limited time with you, but it’s a big subject in this town. And since you’re a lifelong Cubs fan. Now we’re talking to you on Friday. We’ll replay this interview on Monday. Do you think Greg Maddux is going to win his 300th this weekend? We don’t get into politics in this feature, we only report who loves the Cubs. Agree or disagree with him about his decisions in office, that’s up to you. But obviously our former Secretary of Defense has the same disease that we have: He is stricken with “Cubsitis”. Great behind the scenes video from WBBM newsradio on the day that Reagan came to Wrigley Field….